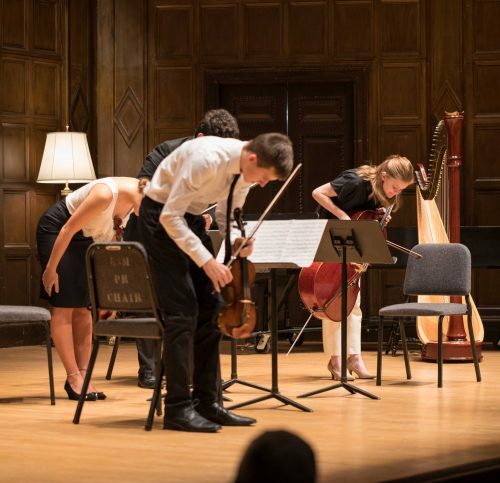 Please note that audience members for all events in Hatch Recital Hall, Howard Hanson Hall, and Kilbourn Hall should enter at 26 Gibbs St and check in with the security desk for directions. Thursdays from late October through May at 12:15pm at the First Universalist Church. Click here for details and schedules.